We went on a road trip! It was so much fun. We drove all the way to Vancouver, British Columbia and I learned a lot on this trip. I learned that sitting in a car for eight hours is not that hard. The hard part is getting out. My first few steps out of the car, I looked like someone recovering from a bad fall… who was just learning how to walk again. But that aside, we really had fun. Denis and I were together 24/7 and we were still friends when we got back. What I missed most of all was my cooking, and my beautiful house. We came back a day early and the first thing I did was go out to the backyard to see my garden. I wasn’t surprised to see a squirrel but he was definitely surprised to see me. He froze for a moment and stared at me thinking, “Oops, you’re back early. And yes, I have one of your apples in my mouth. Goodbye.” He didn’t run. 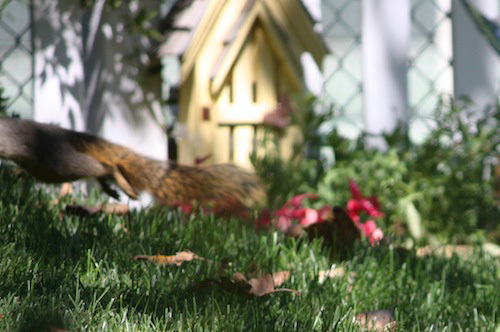 He flew across the yard so fast all I could catch was his tail flying by faster than we drove on our trip. He ran up a tree, looked back once (I’m pretty sure he thumbed his nose) and disappeared. Seeing him made me realize I needed to check my pomegranate tree because the fruit will be ripe soon and I don’t want this mangy, rat-faced, no-good, low-life, beady-eyed, scum-sucking, apple-stealing squirrel to get my pomegranates. Too late. I know squirrel teeth marks when I see them. 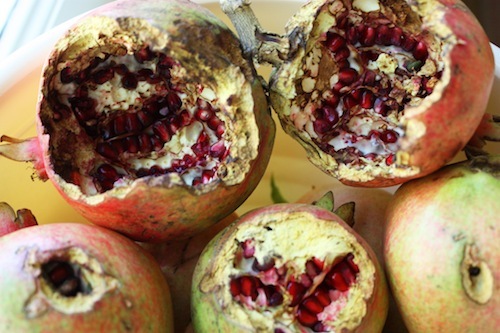 But the pomegranates were still green! So now I was forced to pick all the green ones off the tree and try to ripen them in a window. There were only two that even started to turn red but he hollowed them both out. It’s too painful. I decided to remove the tree and buy my pomegranates at the store. I can plant some flowers there and at least there will be something nice to look at… until the deer show up. We all hoped Joan Rivers would pull through after she suffered cardiac arrest during a medical procedure on her vocal cords but it was not meant to be. She was a brilliant comedian. She had to be to break through all the barriers faced by women comics back in the 60s. By succeeding she paved the way for other women comics, including myself, but no only that, she was an incredibly kind and supportive entertainer. I appeared on Hollywood Squares with her in 1988 when I was just starting out and she sat with me during a break, was so nice to me, and even gave me advice about writing. Then in 1990, I was a guest on her daytime talk show and again, she was gracious and just as kind to me again. When she did stand up, everyone talked about it. “Did you hear what Joan Rivers said? Can you believe what Joan Rivers said?” She was fearless. She pushed the envelope and that’s when she was at her best. She was always outrageous and we loved her for it. 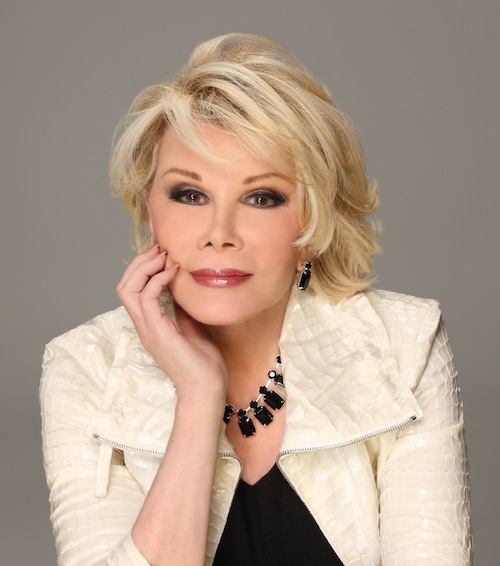 All the brilliant comics who had us falling down laughing were outrageous, just like Joan. “When I die (and yes, Melissa, that day will come; and yes, Melissa, everything’s in your name), I want my funeral to be a huge showbiz affair with lights, cameras, action…. I want Craft Services, I want paparazzi and I want publicists making a scene! I want it to be Hollywood all the way. I don’t want some rabbi rambling on; I want Meryl Streep crying, in five different accents. I don’t want a eulogy; I want Bobby Vinton to pick up my head and sing Mr. Lonely.